Kara Swisher Mark Zuckerberg wanted Facebook to change the world. And it has — but not for the better. Facebook, Twitter and Google’s YouTube have become the digital arms dealers of the modern age. Let me first state that I actually like Mark Zuckerberg and have since the day I met him more than a dozen years ago. But let me also say that he and Facebook, the huge social network that he started in college, have been working humanity’s last nerve for far too long now. Every week, it’s something, and that something is never good. This week, it was the revelation that the Russians — or, more precisely, a group of geek thugs who are acting the exact same way that a group of Russians acted when they messed with the 2016 United States elections on Facebook — are still skulking around the platform and making trouble for the midterms. All these companies began with a gauzy credo to change the world. But they have done that in ways they did not imagine — by weaponizing pretty much everything that could be weaponized. They have mutated human communication, so that connecting people has too often become about pitting them against one another, and turbocharged that discord to an unprecedented and damaging volume. They have weaponized social media. They have weaponized the First Amendment. They have weaponized civic discourse. And they have weaponized, most of all, politics. Which is why malevolent actors continue to game the platforms and why there’s still no real solution in sight anytime soon, because they were built to work exactly this way. And ever since, they have grown like some very pernicious kudzu and overtaken their inventors’ best efforts at control. Simply put, the inventors became overwhelmed by their own creations, which led to what I can only describe as a casual negligence, which led to where we are now. At a recent employee Q and A I did at YouTube, for example, one staffer told me that their jobs used to be about wrangling cat videos and now they had degenerated into a daily hell of ethics debates about the fate of humanity. At least Zuckerberg has traveled a long way in admitting the problem and has said more than any other digital C.E.O. that he regrets that he had not taken action sooner. I certainly did not see it coming, either, when I first met him, in the fall of 2005, although in hindsight the signs that he would get it really wrong were right there in front of me. 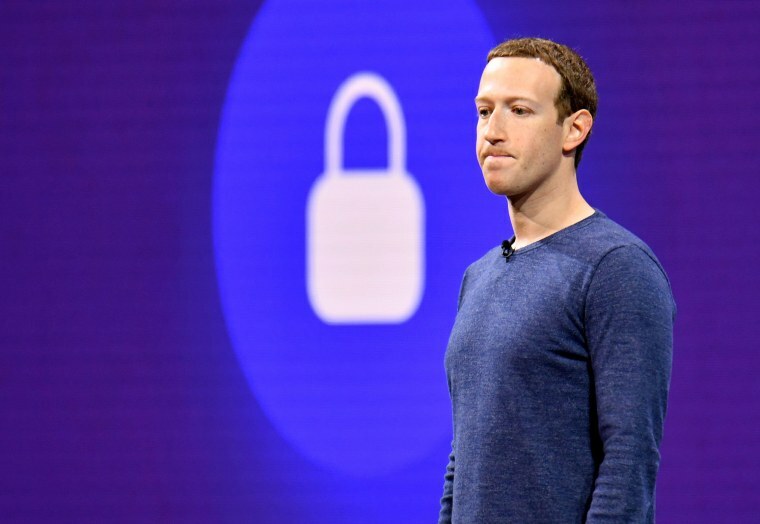 He was just a hair over 21, as gangly as you’d imagine he would be, when he slipped quietly into the cramped room at Facebook’s shabby then-headquarters in downtown Palo Alto, Calif. It was a curious metaphor to choose, because it was not the effortlessly hip image of his rival back then, Myspace, nor the multicolored everlasting Willy Wonka party that was going on over at Google. It was a dull, blue, helpful, we-keep-the-lights-on-ma’am concept that was, thinking back on it, quite telling. That’s because it was based in the idea that Facebook was essentially benign. Worse: Zuckerberg stuck with this mix of extreme earnestness and willful naïveté for far too long. Was it because he was a computer major who left college early and did not attend enough humanities courses that might have alerted him to the uglier aspects of human nature? Maybe. Or was it because he has since been steeped in the relentless positivity of Silicon Valley, where it is verboten to imagine a bad outcome? Likely. Could it be that while the goal was to “connect people,” he never anticipated that the platform also had to be responsible for those people when they misbehaved? Oh, yes. And, finally, was it that the all-numbers-go-up-and-to-the-right mentality of Facebook blinded him to the shortcuts that get taken in the service of growth? Most definitely. I kept pressing Zuckerberg on how he personally felt about the damage his creation had done. Was he beginning to understand the power that he held, and that the world that he controlled was not such a rosy place? These issues were all still on full display in a podcast interview I did with Zuckerberg a few weeks ago. You’d have imagined that all this time, and all the money and power he has collected, would have wisened him. Not so much. Unfortunately, the conversation soon turned into a late-night freshman-year dorm-room debate, as he stumbled into a controversy of his own making by using Holocaust deniers and their appalling falsehoods as an example of how much dreck should be allowed on the platform. While that statement ate up all the news, I was more struck by something else. I kept pressing Zuckerberg on how he personally felt about the damage his creation had done. Was he beginning to understand the power that he held, and that the world that he controlled was not such a rosy place? Fair enough. But it was impossible to get him to acknowledge any personal pain as both the creator and the destroyer. Kara Swisher is the Recode editor at large, producer of the Recode Decode podcast and Code Conference, and a contributor to both The New York Times and NBC News. This article previously appeared in The New York Times. Copyright 2018 The New York Times. Kara Swisher is the Recode editor at large, producer of the Recode Decode podcast and Code Conference, and a contributor to both The New York Times and NBC News.